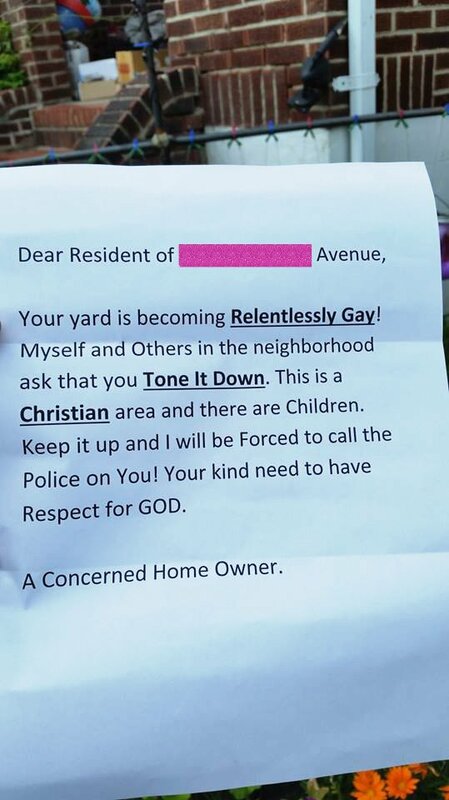 Baltimore resident Julie Baker has launched a GoFundMe campaign to make her garden more gay after a neighbor left her a note telling her to "tone it down.". 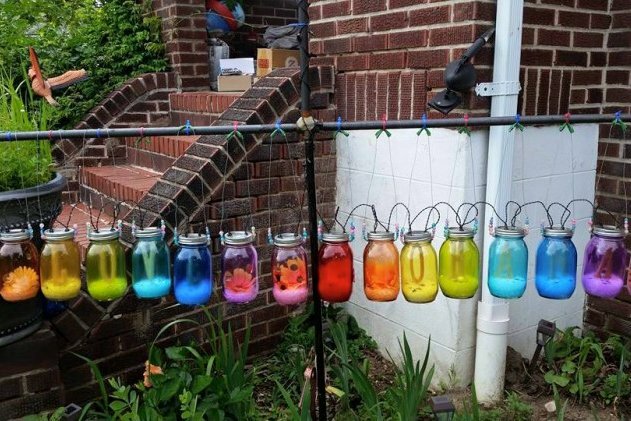 A Baltimore woman’s GoFundMe campaign to make her yard ‘more gay' after a disgruntled neighbor told her to “tone it down,” has garnering more than $43,000 in donations as of Monday. Baker opted to act on the letter with "laughter and irreverence and creative stubbornness," including launching a fundraiser to make her yard even more gay, possibly with a new rainbow roof. Since last week, the GoFundMe site has been shared over 19,000 times and donations and support continues to trickle in. "I have never had the ability to conform to the expectations of the world, for many personal reasons I have chosen to embrace life through giving and loving for the sake of giving and loving. Its all that I know and what keeps my soul together. So when I am told, that the simple joys that hold me together are supposed to be buried away because somehow, someone chooses to be offended by it is in my nature to fight back in the only way how - with laughter and irreverence and creative stubbornness." To view and donate to Baker's GoFundMe campaign, click here.